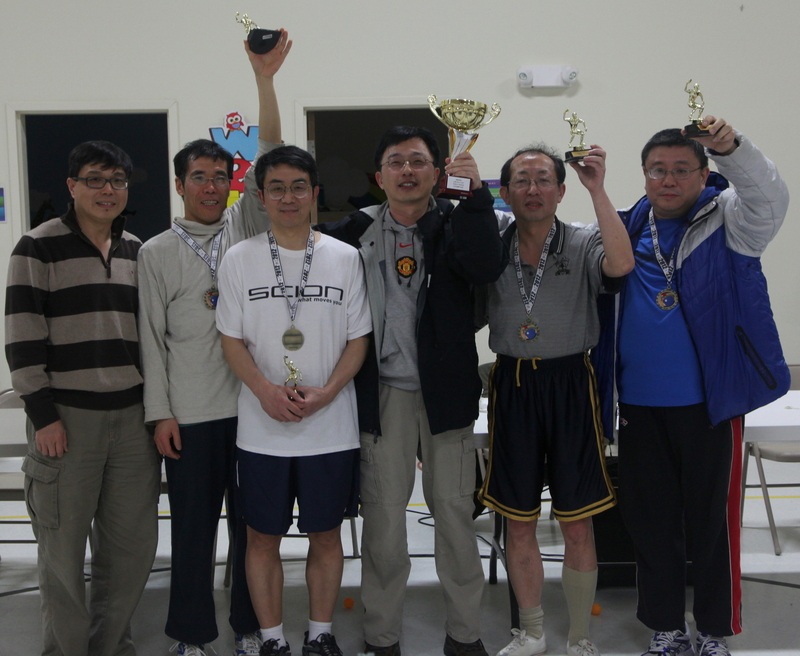 In the afternoon of March 17, two finalists, team Peace and team Faithfulness, competed for the group championship of the Inaugural Metrowest United Ping Pong Tournament at Boston Metrowest Bible Church in Littleton MA. About 80 players, their family members and volunteers from the church were at hand to witness the first ever award ceremony for a sports event at the church. The score was tied at 1:1 after a single match and a double match by the two teams. 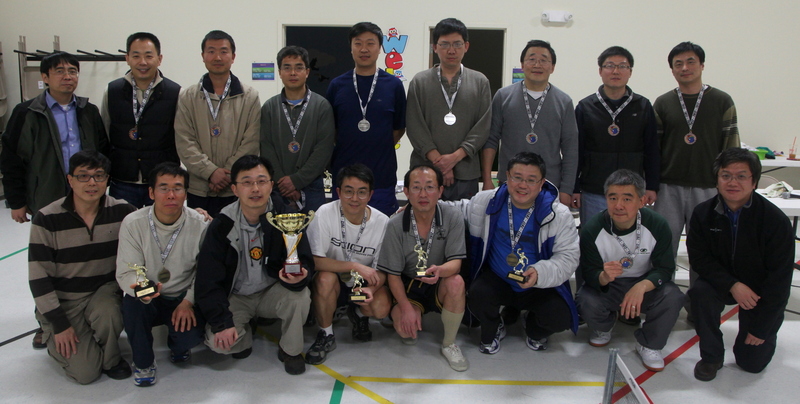 In the deciding single’s match, Yong Zhao defeated Jun Feng, and helped team Peace capture the championship. Team Peace’s players Yueming Li, James Shen, Guangyu Sun and Yong Zhao and team manager Yan Chen had big smiles on their faces when they received the trophy and gold medals from Elder Mingche Li, Donghai Ma and Shuyun Wu. 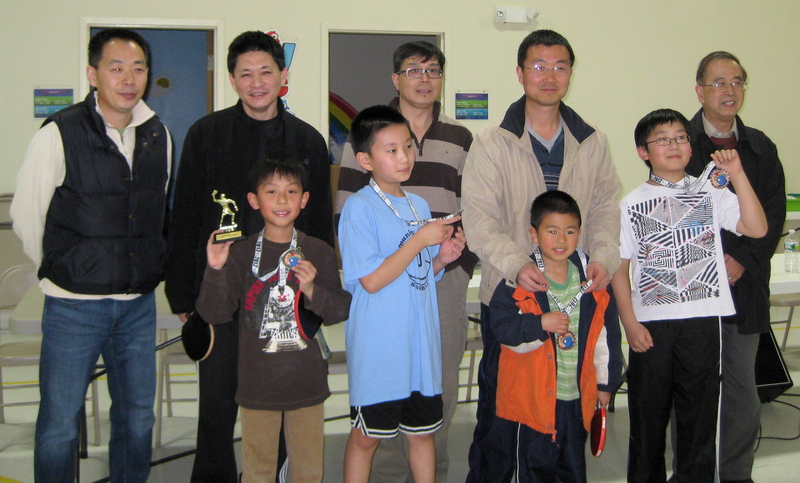 In the under 12 age group competition that followed, Eric Zhao won the championship. Second place winner was Carlson Wu, while Steven Tan, Brian Hu and Dustin Yang shared third place finish. 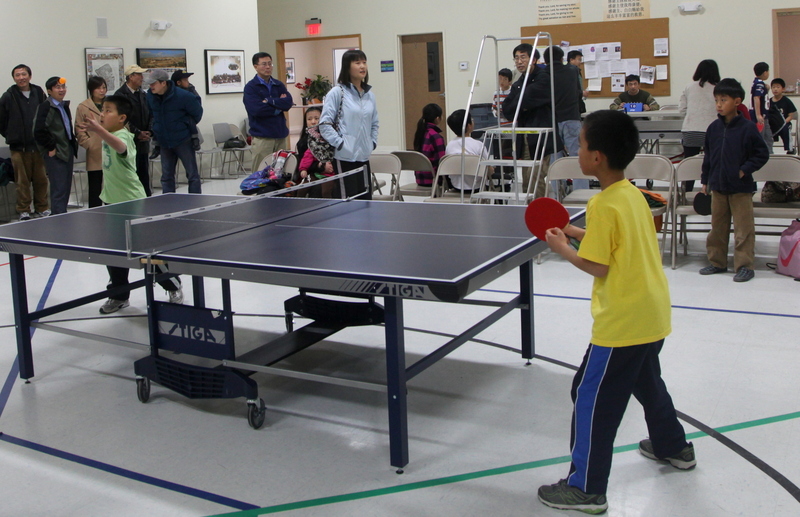 This new Church building that the ping pong tournament took place was dedicated on September 10, 2011. Various religious and cultural events have taken place in the two big halls inside the church building, including the Chinese New Year celebration on Feb. 4, with 500 people from neighboring communities attending. The following are some pictures from March 17’s competition.